1. Cut lemons into quarters. Scoop out balls from watermelon. 2. Add 3-4 watermelon balls, 4-5 lemon quarters and 10-12 mint leaves into individual serving glasses and muddle well. 3. 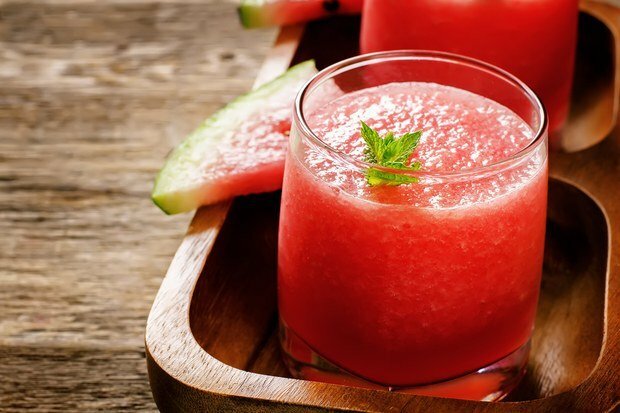 Add some ice cubes, 1 tablespoon sugar syrup, salt, 1 teaspoon lemon juice and some more watermelon balls, top with drinking soda and stir well.